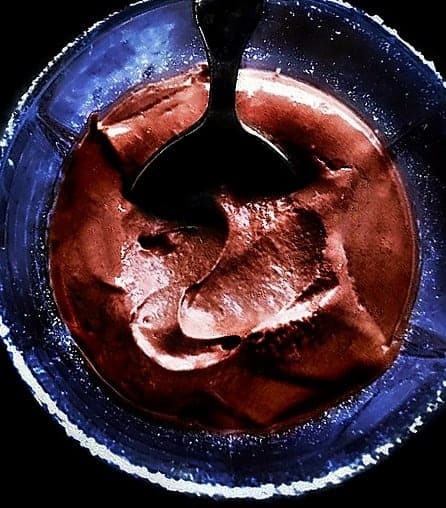 7 Mins Chocolate Coconut No-Cook Pudding: A melt in your mouth, luscious and absolutely delicious dessert recipe that’s made using 3 simple ingredients and ready in 7 minutes. 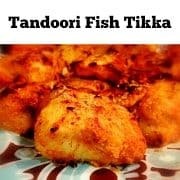 There are times when a weekend is around the corner and all you want is a simple, cozy yet absolutely delicious yummm…. 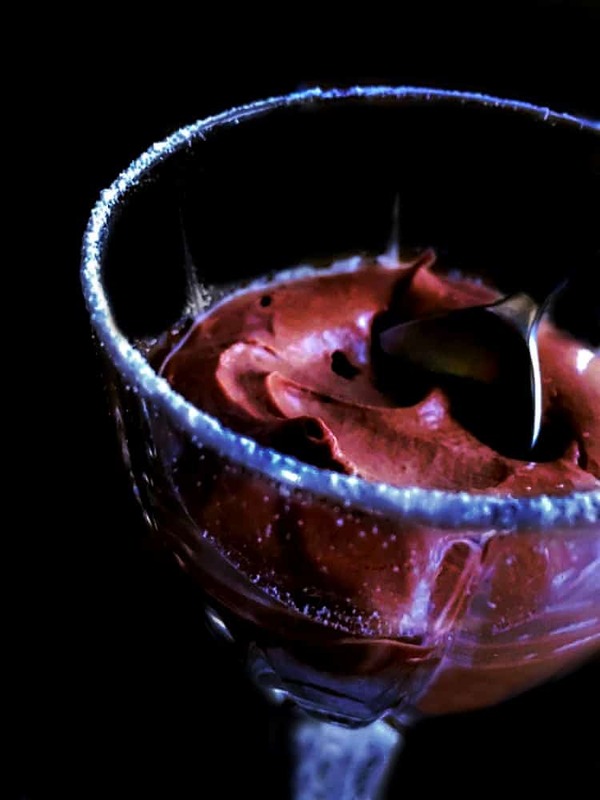 Most of the time, it’s the dessert we crave and this weekend that’s exactly what I’m going to share with you. Dessert cannot be simpler and faster than this and once you make it, you would wonder, where was it all this life. But before that, a very interesting incident that actually led to this recipe….. But also there was something he mentioned, that just hit a chord with me – he said everything is nice but ‘You don’t have many dessert recipes’!!! OMG, that’s so true, although I loooooove desserts but I hardly posted many dessert recipes on my site. He was so correct and it made me secretly grin too cause he actually reads my blog – YAAAAY!!! 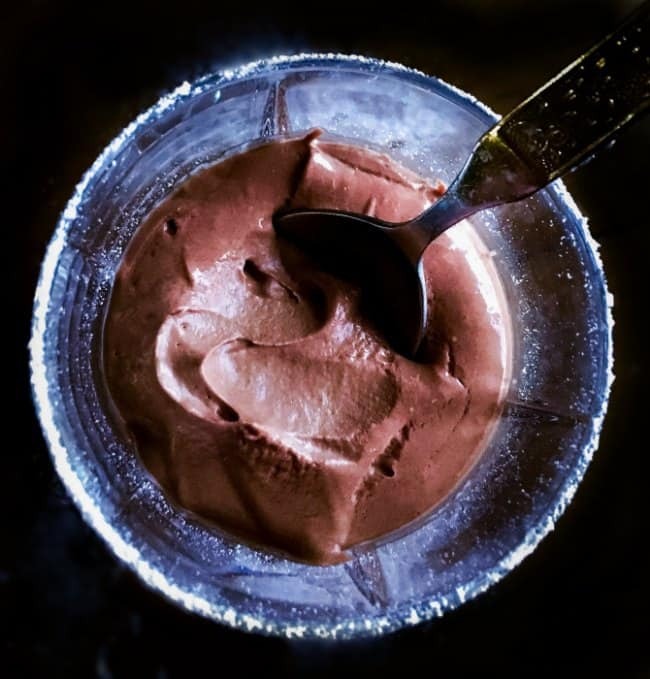 So with all that mixed emotion, I returned home and my first project was this 7 Mins Chocolate Coconut No-Cook Pudding. Off-course, I had to make something right away to stop feeling guilty and I needed something sweet to eat, so this definitely served both the purpose. 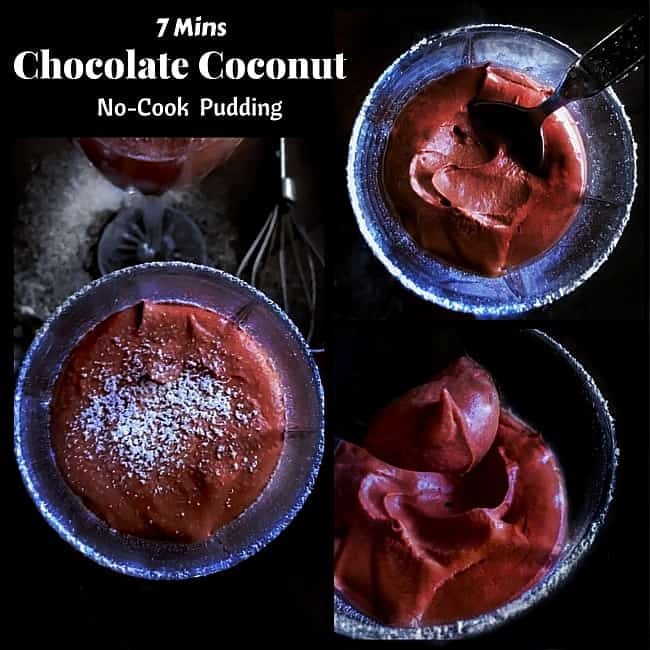 Now, coming back to this7 Mins Chocolate Coconut No-Cook Pudding recipe, it’s your answer to a QUICK-DELICIOUS dessert recipe and you need not look any further. It’s made using full coconut milk (which we kept in the fridge overnight so that the milk thickens and cream can be easily formed). Then all you need is a good quality cocoa powder some sugar (any other sweet substitute would work too). 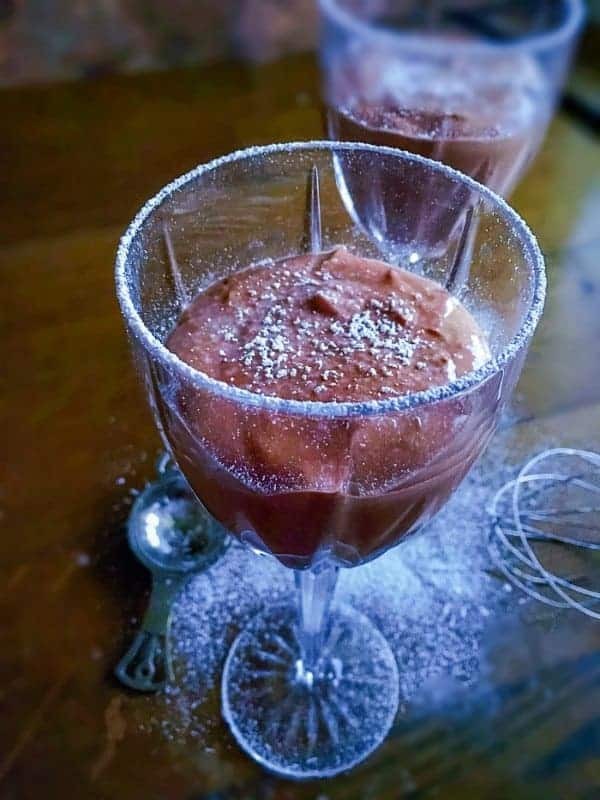 And if you are feeling upto it, go ahead and add a splash of brandy or any kinda liqueur you like in this Chocolate Coconut No-Cook Pudding. 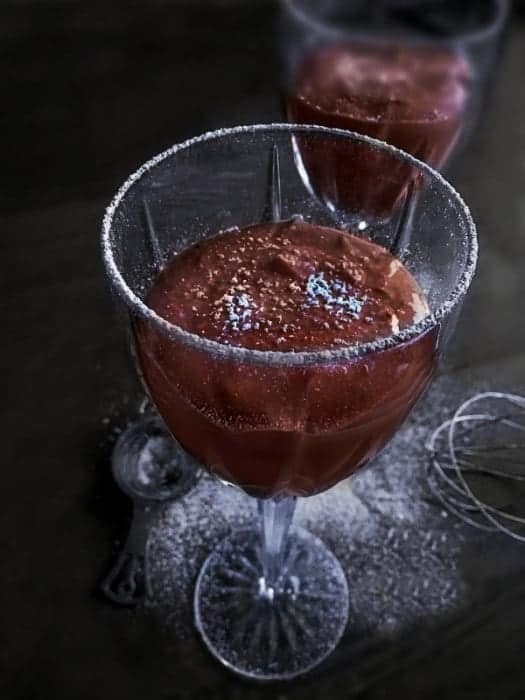 I’ve made 3 different version from this recipe using orange liqueur/brandy/rum (so go give it a try). Just whisk the mentioned ingredients together for 2 minutes and you get this dessert which resembles a thick cloud. 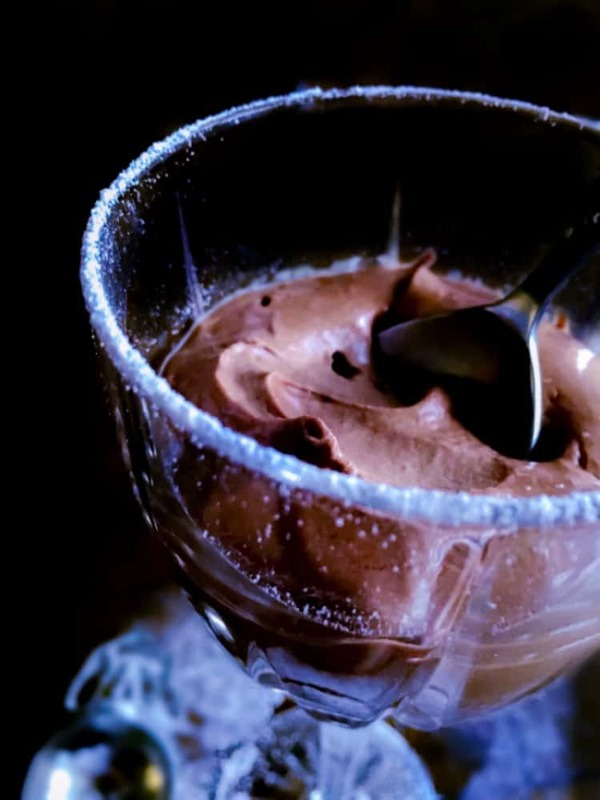 If you’re like me (I seriously couldn’t stop myself), you can eat this Chocolate Coconut No-Cook Pudding right away. 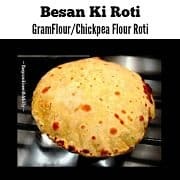 Or just pour it into some swanky glasses or jars or whatever dish/bowl you want to serve them in and just place them in fridge to chill for few minutes. Once chilled, just lightly dust with powdered sugar (which is absolutely optional BUT highly recommended as they look stunning). Now simply, find someone to share them with (it makes 4 glasses) or just nosh on them all by yourself. 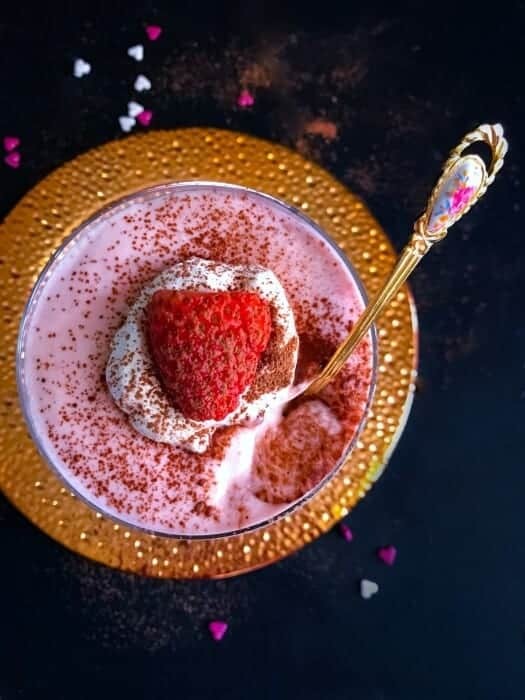 I’ve made this particular recipe at-least 10-15 times and every time, it hits all the right notes and is definitely my favorite easy dessert recipe…seriously what can be this delicious and ready in 7 minutes? 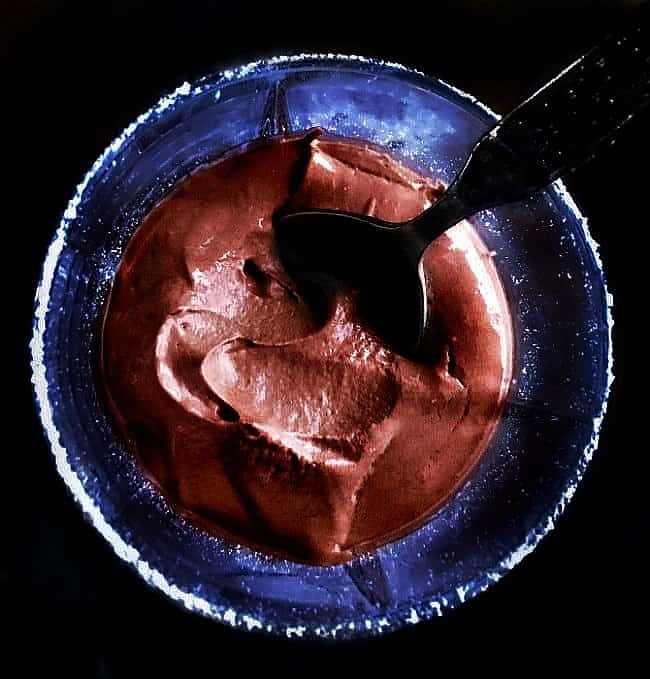 Also, as I’ve mentioned before, this tastes really good and at times, we have even scooped the entire bowl with our hands just to get that last bit, so make some extra. 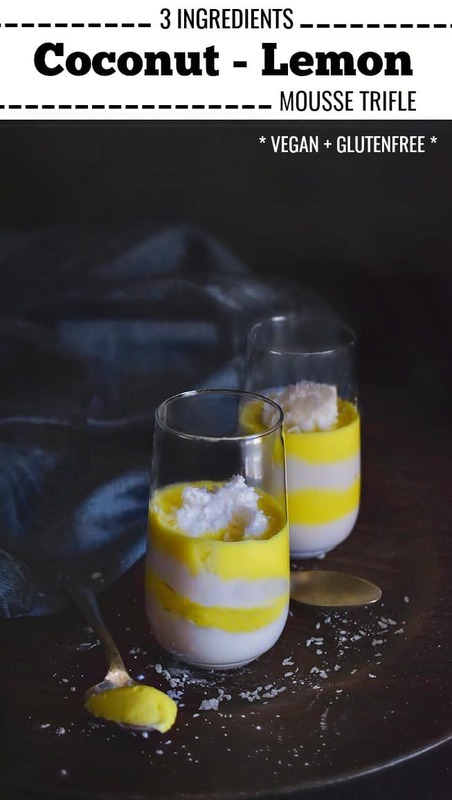 Oh, I forgot to mention, it’s an easy-peasy dessert for all my Vegan & Glutenfree friends too as this doesn’t involve any milk or glutenous product. 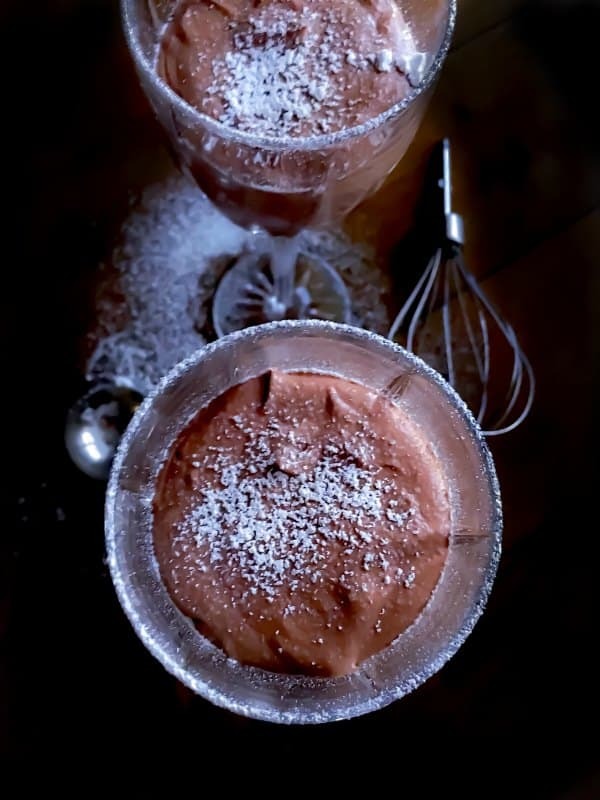 3 Ingredients, creamy and delicious vegan chocolate-coconut pudding that's ready in 7 minutes. Place the unopened coconut can in the fridge overnight or atleast 2-3 hrs. Remove the can from fridge and open gently. Remove all the thick milk that would have settled or even formed like a crust on the top. You can discard the remaining thin watery milk or use in curries/smoothies later. Place the scooped thick milk in a large cold bowl (you can keep a bowl in freezer for 10mins). Whisk the coconut milk using an electric whisk or hand blender till they form thick stiff peaks (about 1 minutes). Now add cocoa powder, sugar and whisk to combine everything evenly. Whisk everything for a minute to form a smooth pudding consistency. Pour in serving bowls/glass and place them in fridge for 5 minutes. Remove from fridge, sprinkle powdered sugar and serve immediately. (If you plan to serve them later, then sprinkle powder sugar when ready to serve or it will melt). 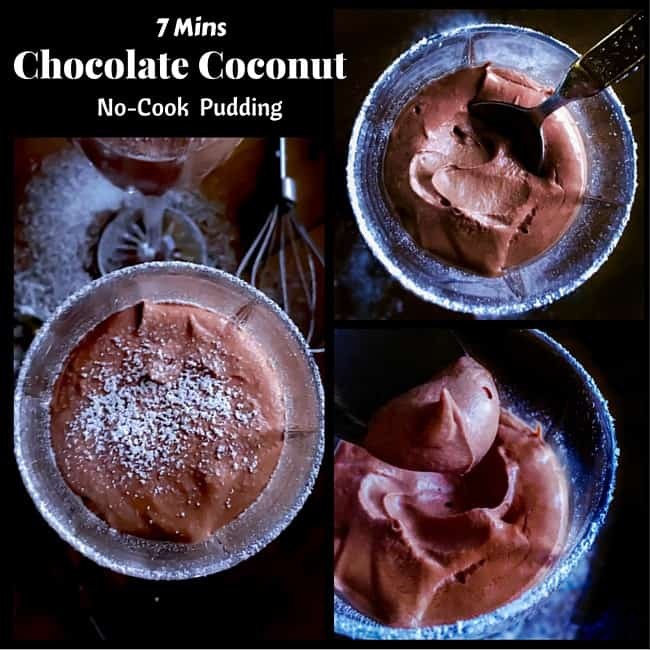 60 Replies to "7 Mins Chocolate Coconut No-Cook Pudding (3 Ingredients) Vegan"
Sounds so awesome – easy and coconuty!! Totally pinning and so eager to try this. Love this! It is so easy and quick to do! Well I’m super happy your ex-colleague suggested dessert, this pudding looks delicious and I love how low in sugar it is! I have a silly question…how long can I leave the coconut milk in the fridge before I use it? I’m the worst planner and will never remember to chill the coconut milk before a pudding craving strikes. Then I always end up eating a different treat because I’m impatient. Can I just store an unopened can in the fridge so I always have one pudding ready? 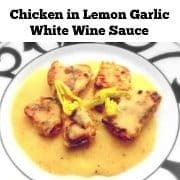 We made this recipe last night and it was awesome. Already tossed another can in the fridge for this weekend! YaaaaaY – Thanks so much for making the recipe Brie and I’m so glad you’ll liked it 🙂 Lots of Hugs !! 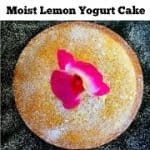 How lovely that he reads your blog and this desert sounds and looks amazing too. Must print the recipe so my daughter can try making this for herself and her brother! That would be fantastic – Thanks. Thanks for the recipe! 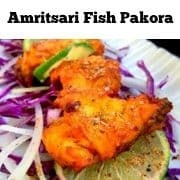 I made these last night and they turned out delicious. Thanks for trying it Doran, That’s fantastic! I can’t wait to try this out Molly . It looks so easy and scrumptious! Plus am a sucker for all things coconut.